It is the stall name that first caught my attention, it is in chinese, the direct transaction of 一条龙菜头粿 is '1 dragon fried carrot cake'. 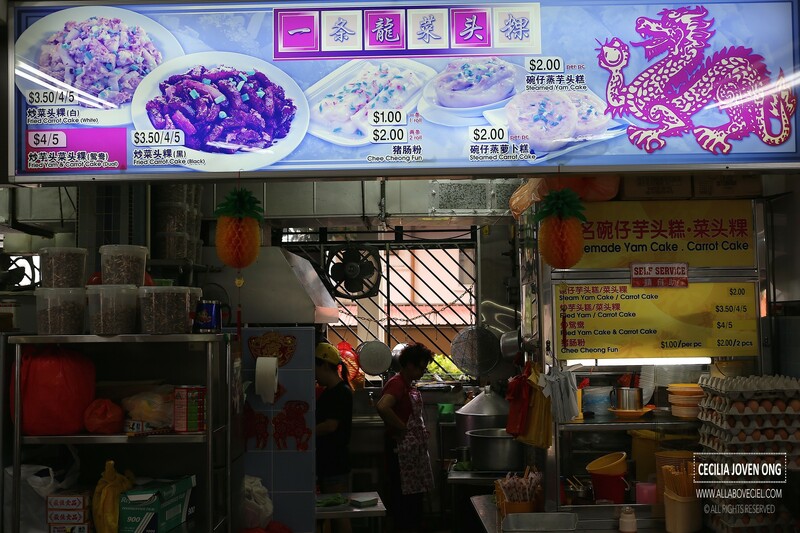 When you take a closer look at the menu board, they do offer steamed carrot cake and yam cake for $2 each. 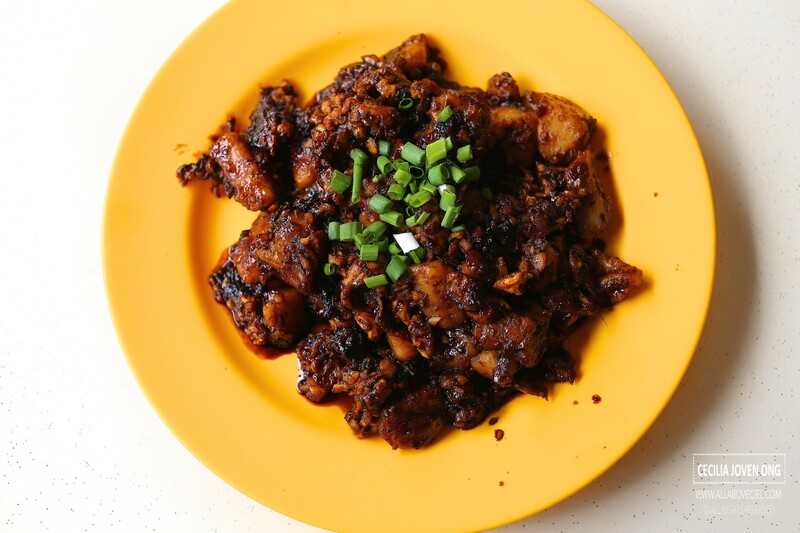 The lady taking my order has a distinct chinese accent like those from the mainland China, it turned out that she was also the one frying my plate of carrot cake. I was a bit skeptical though. 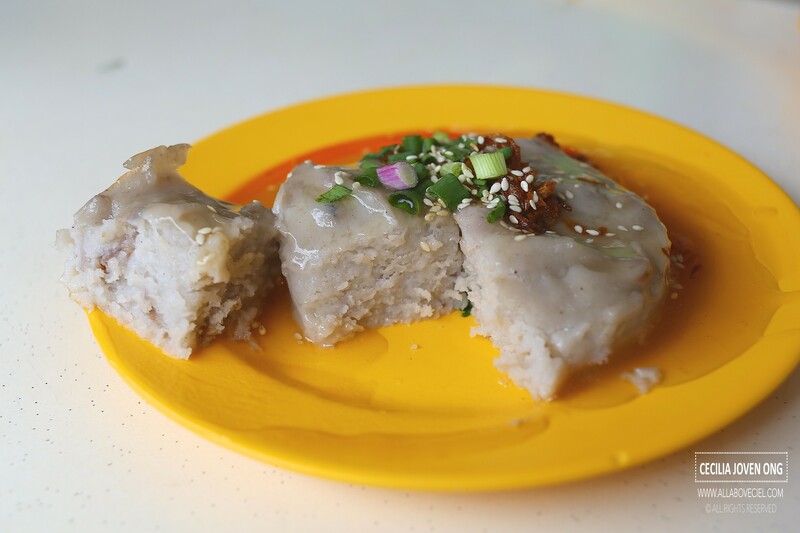 I also ordered the Steamed Yam Cake, it was a piece by itself in the shape of a circle topped with bits of sesame seeds, dried shallots and chopped spring onion. 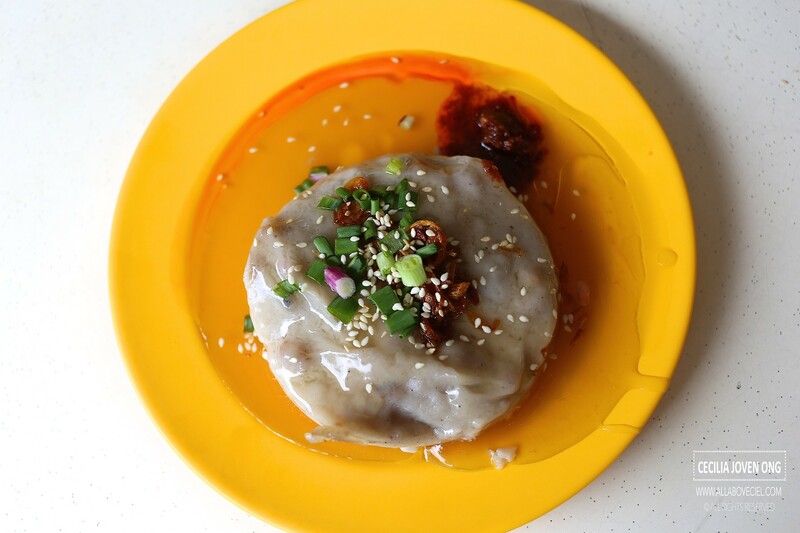 The Yam Cake was in a pool of sweet sauce with chilli by the side. The texture was rather soft with chunks of yam pieces embedded in it, the taste was slight bland if eaten without the sauce. Even so, the sweet sauce did not have much effect in enhancing the overall taste. The level of spiciness of the chilli was rather mild with no distinctive fragrance. The Fried Carrot Cake came next. 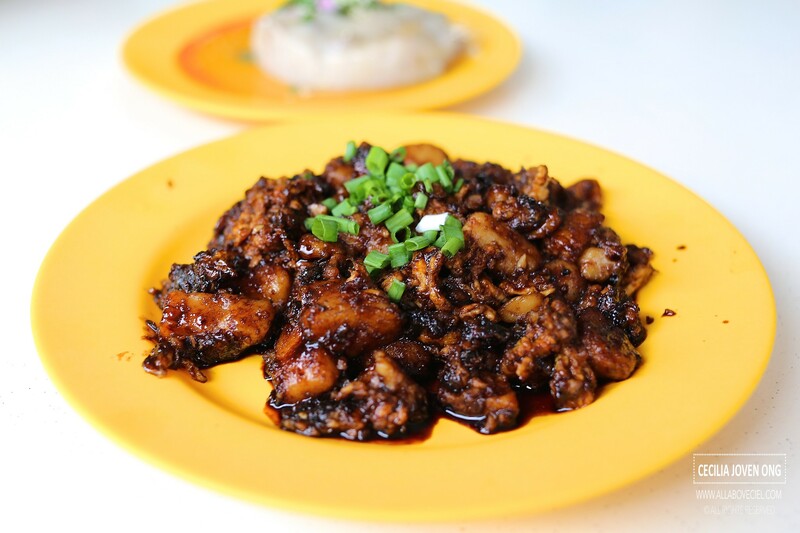 The steamed carrot cake coarsely chopped into big chunky pieces then fried it with dark sweet sauce and generous amount of beaten egg then topped with chopped spring onions to serve. I could taste bits of shredded carrot and dried shrimps in the carrot cake which you do not usually get it in most of the Fried Carrot Cake out there. It tasted a bit too sweet, likely to be the result of too much dark sweet sauce added which somewhat overwhelmed and i could hardly taste the eggy taste nor the spiciness of the chilli in it.